Originally published in 1991. 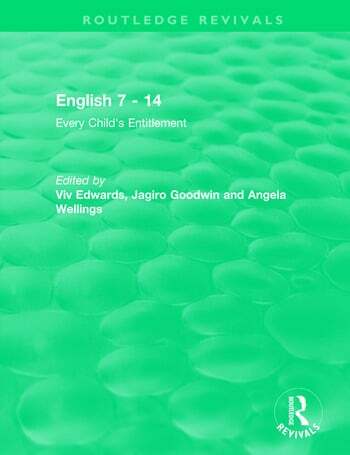 The central aim of this book is to make English in the National Curriculum accessible and relevant to all pupils. In attempting to meet this aim, the authors set out to bring together a theoretical basis for the main English profile components and practical suggestions for good practice for all schools. In the first section oracy, reading and writing are examined and in the second section three case studies describe a range of projects which have taken place in different schools.